Florida offer active duty and Veterans cost saving application and licensing fees. Florida Real Estate University has assembled some discount and free-or-reduced fee information about careers in real estate that may be useful to members of our armed forces, their families, and recently discharged veterans. The State of Florida offers discounts, and sometimes complete fee waivers for our active duty military, veterans, and some family members. Special fees are listed here. If you are connected to someone serving our country, you should learn about new legislation in effect applying to Home Inspections and Real Estate. You are specifically included in this program if you are active duty or a military spouse and hold a professional real estate license, or if your are a veteran who want to join the real estate profession. Florida Real Estate University offers your pre-license education all in one place. 63 Hour Sales Associate Pre-License Class and 72 Hour Broker Pre-License Class. For Active Duty, the member is exempt from all license renewal requirements for the duration of active duty and for a period of six months after discharge. For Veterans, the Florida Department of Business and Professional Regulation waives the initial licensing fee, the initial application fee and the initial unlicensed activity fee for military veterans who apply for a state license within 24 months after an honorable discharge from any branch of the United States Armed Forces. F.S. Ch 205.171 allows disabled vets to claim a $50 discount toward their state license fee. 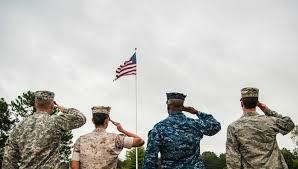 The spouse of an active duty member of the United State Armed Forces may be issued a temporary license to the practice a profession in Florida. The applicant’s spouse must be on active duty and assigned to a duty station in Florida. The applicant must hold a valid license for the profession in another state, the District of Columbia, any United State territory or possession, or a foreign jurisdiction. At the Department of Business and Professional Regulation, our primary focus is helping people get to work. This includes military on active duty who hold professional licenses; military spouses and veterans of our armed services. DBPR has several programs which were developed to assist these individuals with the licensing process, whether a spouse needs help applying for a state license after being transferred to a Florida duty station, an active duty member wants to keep his or her license current during a deployment, or a veteran is trying to obtain a license with experience earned during his or her service to our country. 2 Complementary hours of One on One Coaching to kick start your new career. Please select from the links below to choose the program area which may assist you directly.